Potato-bean casserole – for lazy people like me. and potatos – already boiling while taking this picture. salt, black pepper, paprika powder, some greens. 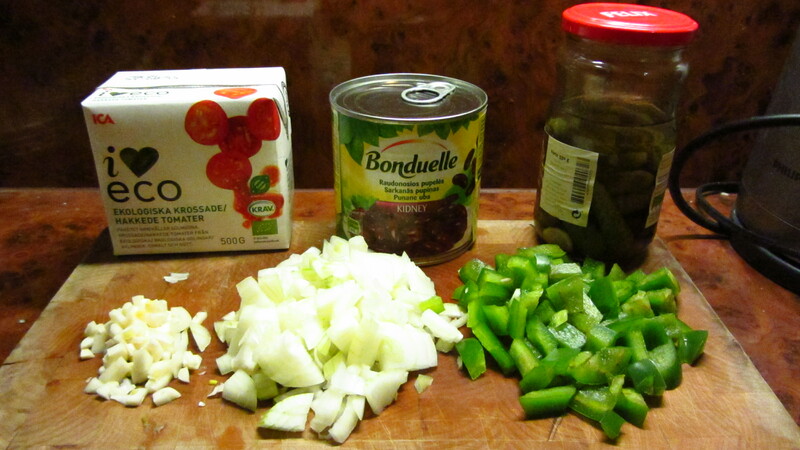 Garlic, onion, bell pepper, pickles chopped and fried in pan…for few minutes. Tomatoes and water added – 5 minutes boiled. 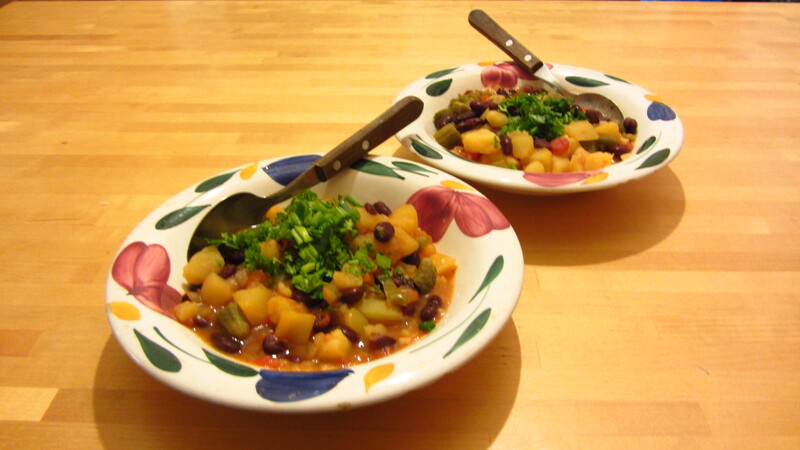 Boiled potatoes chopped and added along with beans. Some salt, sugar and pepper added. Ready after 5 minutes. Serve with parsley and green onions. So fulfilling…that it makes me happy! Even happier! Next Post Wrap with mungoa sprouts. Fastfood. Again!